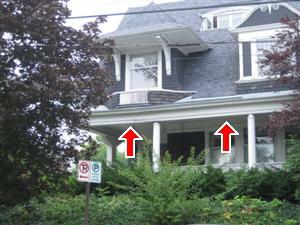 97 Home Exterior Pictures and Descriptions! 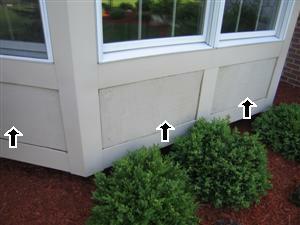 We recommend to always caulk where the siding and the concrete come together. 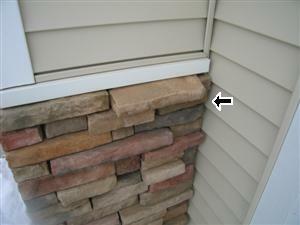 This will help stop water from entering your home. 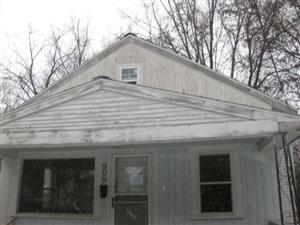 The exterior of this home needs to be scrapped and re-painted. 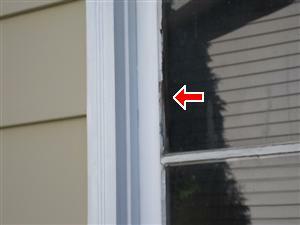 It is common to find wood rot on the wood siding of a bay window area. 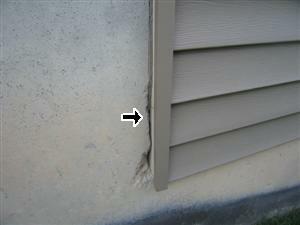 Water damage found like this is found because of rain water or winter ice build up. 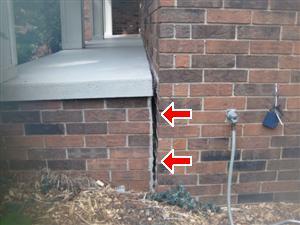 These steps cracks found on the exterior of brick homes are common and a normally not a structural issue. 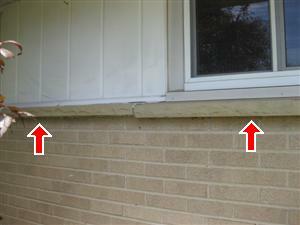 Loose window ledges are a safety hazard and should be properly secured. 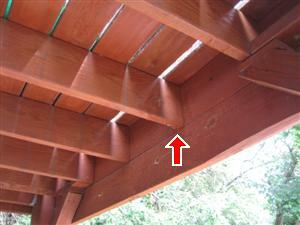 Always look close at the corner support post in a screened porch. 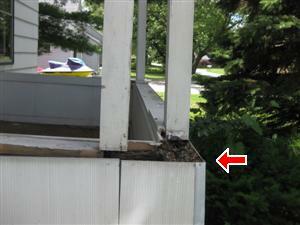 This is a common area to find wood rot / rotted corner support post. 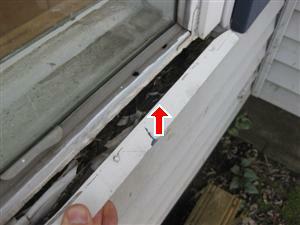 The glazing that holds this older window in place is falling out and should be replaced. 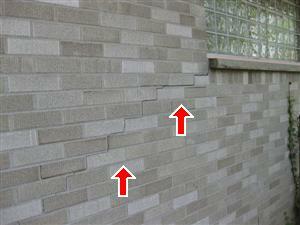 This is very common. 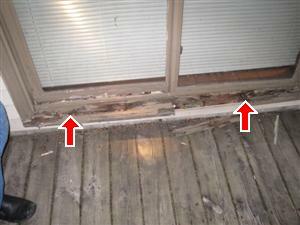 Always look very close at the base of a exterior window or sliding door for wood rot. 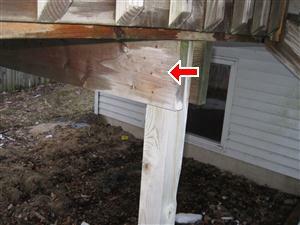 This supporting beam has been nailed to the deck post, we just recommend that it also be lagged to the post. 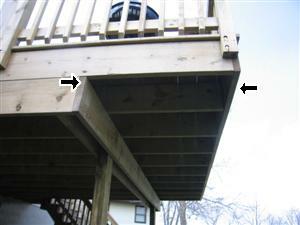 This deck should not be cantilevered over the main support beam by over 2′. 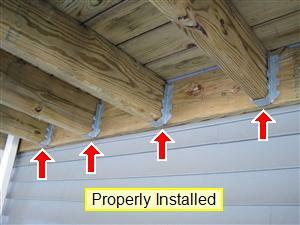 Deck floor joist with joist hangers installed properly. 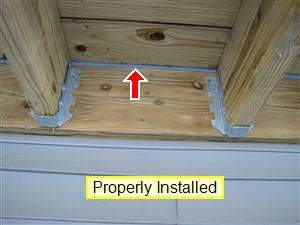 Deck Flashing that has been properly Installed. 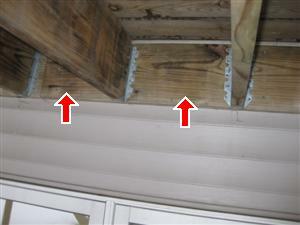 Every one of these deck floor joists is missing a joist hanger. 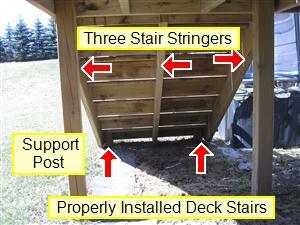 See photo above to explain joist hangers. 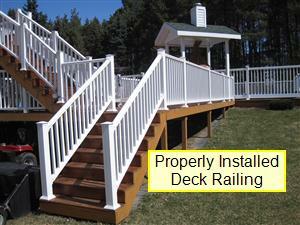 Deck spindles/railings Properly Installed, 36 in in heights and the spindles are 3 1/2 in apart. 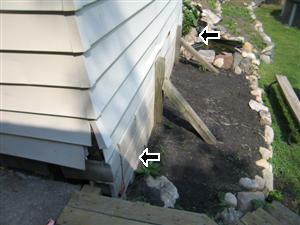 These deck stairs were properly installed using one outside stair stringer on each side, one in the center, also the base of the stair case having support post run into the ground. 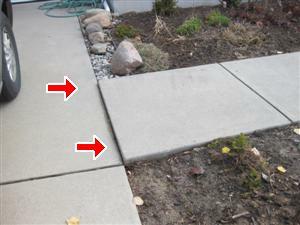 Driveway or walkway settling can be a trip and fall safety hazard. 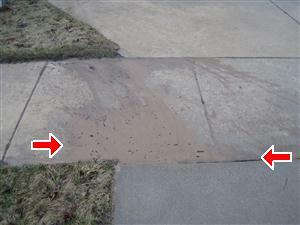 This is sometimes difficult to find but we did the inspection during the rain and found that the sand was washing out from under the driveway which will eventually cause major problems if this problem is not corrected. 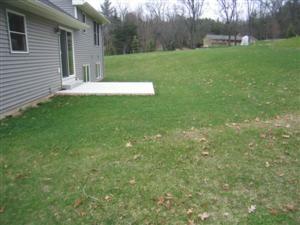 This was only a 5 year old home. 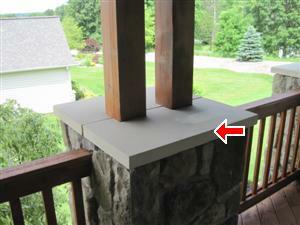 The front porch has settled and moved the corner support post. 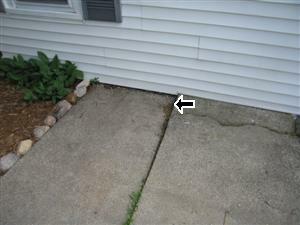 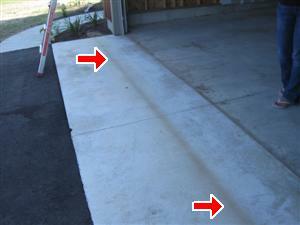 Concrete patio settled back toward the home, make sure to check the basement closely for water leaks. 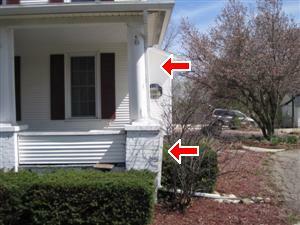 It is very important to look to see if the front porch has settled back toward the home, if it has there is a good chance a water leak has accrued in the basement. 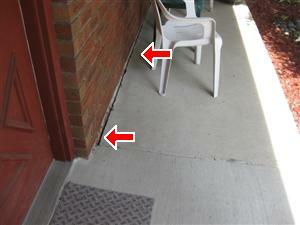 The siding has been caulked where it meets the porch concrete. 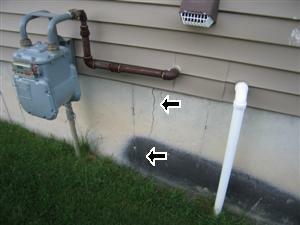 Caulking is generally there for a reason. 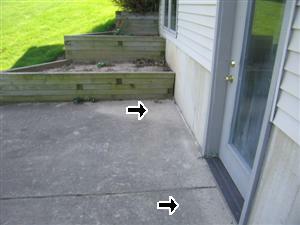 Make sure you look close at the basement or crawl space area directly below this area for water stains or wood rot. 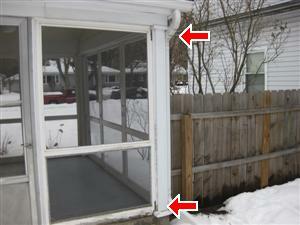 This center of this front porch over has dropped due to wood rot and will need to be repaired. 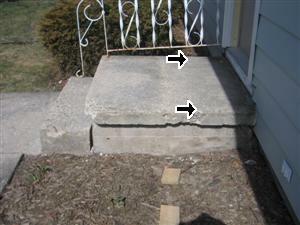 This front porch has had evidence of pulling away from the home by approx. 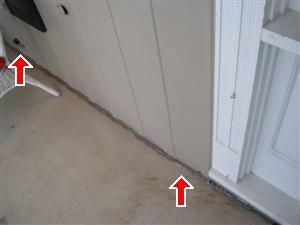 1/2 in, this one was not a structural concern but we do recommend that you use a concrete caulk to fill the gap where the house and the front porch come together. 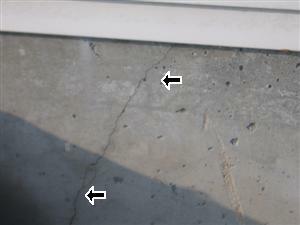 Commonly found concrete poured wall foundation crack. 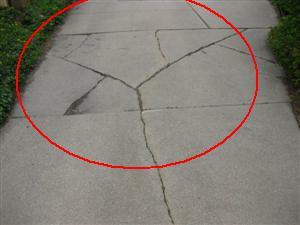 These cracks generally cause no structural issues. 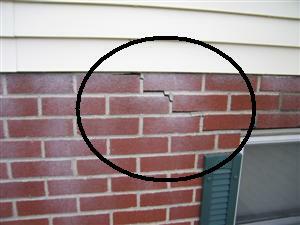 This is a wall crack that is commonly found on the exterior of homes, this crack is not causing any structural concerns. 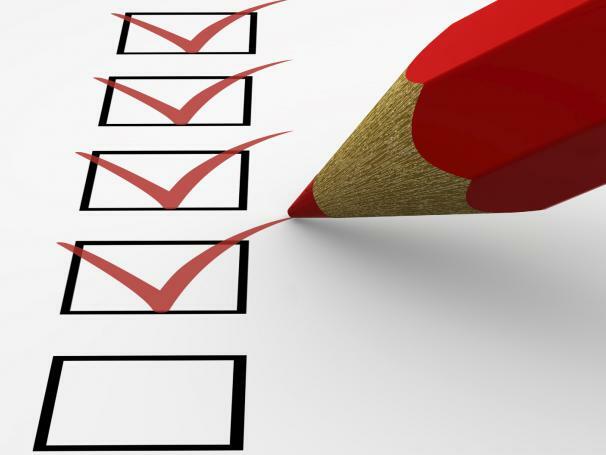 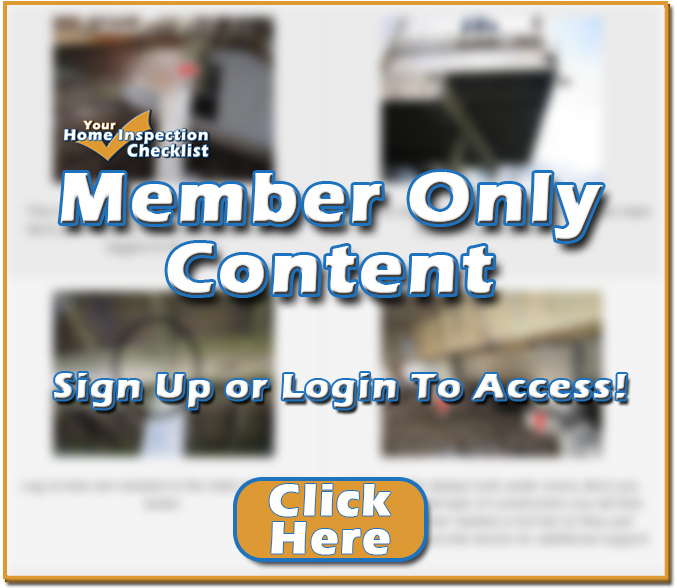 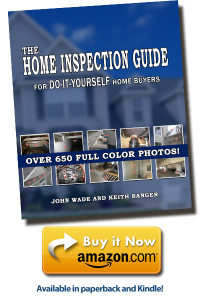 If you are not comfortable with your findings we recommend that you call a professional Home Inspector. 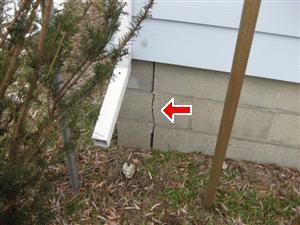 Common concrete poured wall foundation crack. 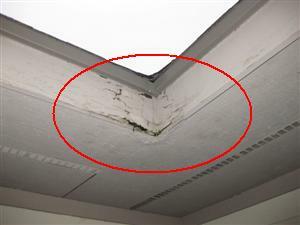 These cracks generally cause no structural issues. 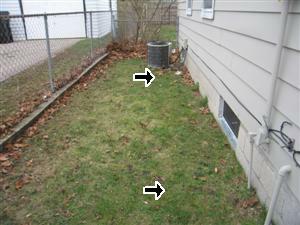 This side yard should be sloped away from the home the grading is sending water directly at the home which can cause basement to leak. 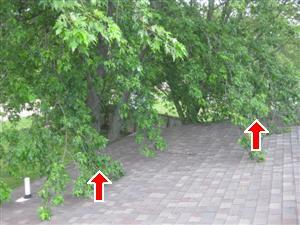 All trees should be cut back from the roofs. 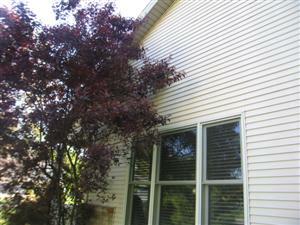 All trees should be cut back from the siding. 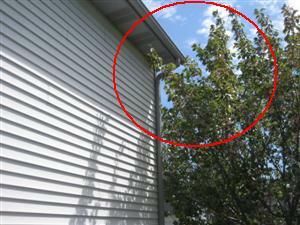 All trees should be cut back from the roof/siding. 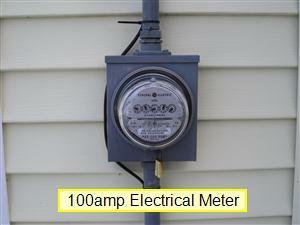 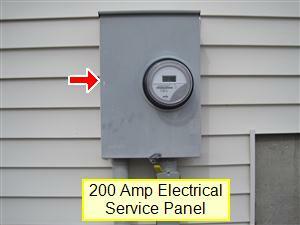 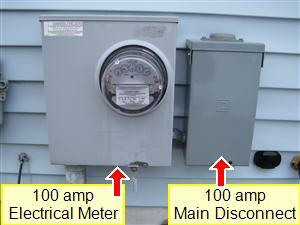 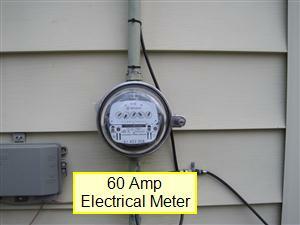 This is a photo of a 100 amp electrical meter with a main disconnect on the exterior of the home.